Christian and I have known Felix and Erica for about 6 years now. We met them about a year before moving to Colorado and they quickly became two of our regular climbing partners. So, you can imagine how excited I was to find out that they were having a New River Gorge Rock Climbing wedding. Seriously awesome and not only were we invited but I got to photograph it! They opted for a three day wedding event at the beautiful Confluence Resort in Hico, WV. They invited their closest friends, family, co workers, climbing partners and college buddies. I loved getting to see old friends and making new ones! A sneak peek can’t even begin to cover all of the fun that was had. There was a bonfire, tons of active games like crate stacking and over sized Jenga, tons of delicious food and of course a rock climbing session in their wedding attire on Sunday. But don’t worry, I’ll have a full post up as soon as possible and until then, these will have to hold you off! 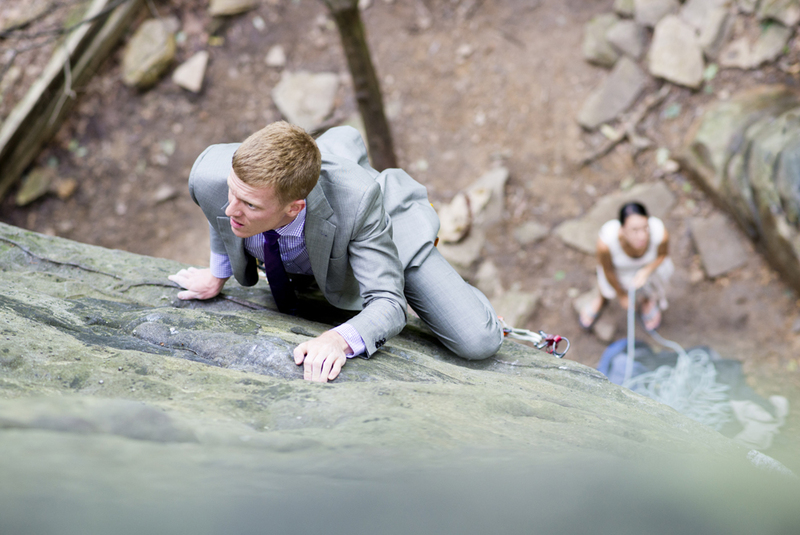 Felix leading a trad climb at the New River Gorge in his wedding suit. Erica rock climbing in her wedding dress! Erica and Felix standing on top of the Bridge Buttress at the New River Gorge. Colorful ring shot of Felix and Erica’s rings on a locking carabiner. To learn more about the New River Gorge, click here. To contact Rayna, use her contact form! 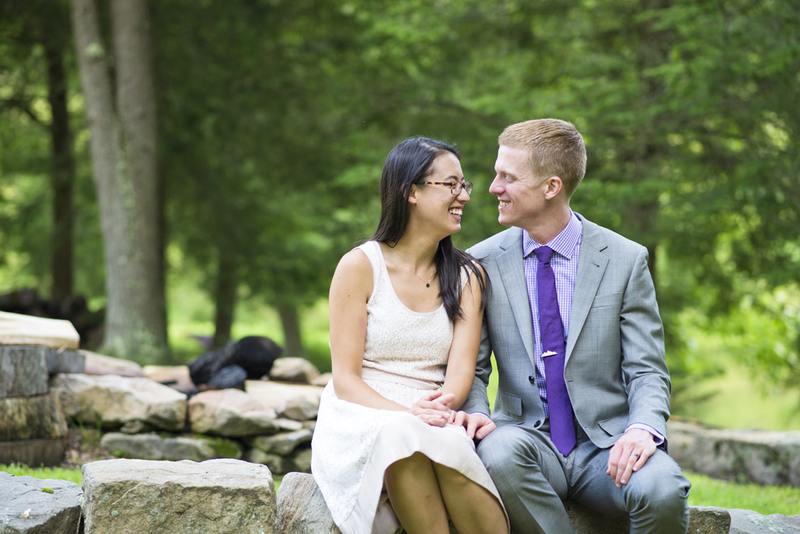 You photograph such fun weddings! Love the colors and details, can’t wait to see more! I love that this is becoming a specialty of yours. So unique! I think I need to get into an awesome hobby, redo my wedding to be themed around that awesome hobby, and then have you photograph it! LOVE LOVE LOVE how unique these shots are! Beautifully captured, Rayna! What a fun wedding!! Right up your alley. Love the climbing shots, cool angles! love these bright colors and unique session! 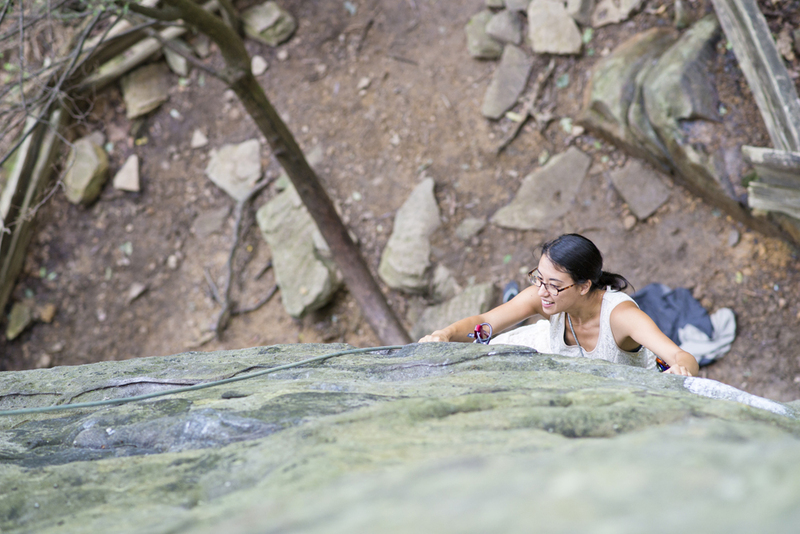 so fun to photograph rock climbing weddings! How personal of a session!! If I was a rock climber, this would be exactly what I would want. Wow, a rock climbing wedding! That is awesome. 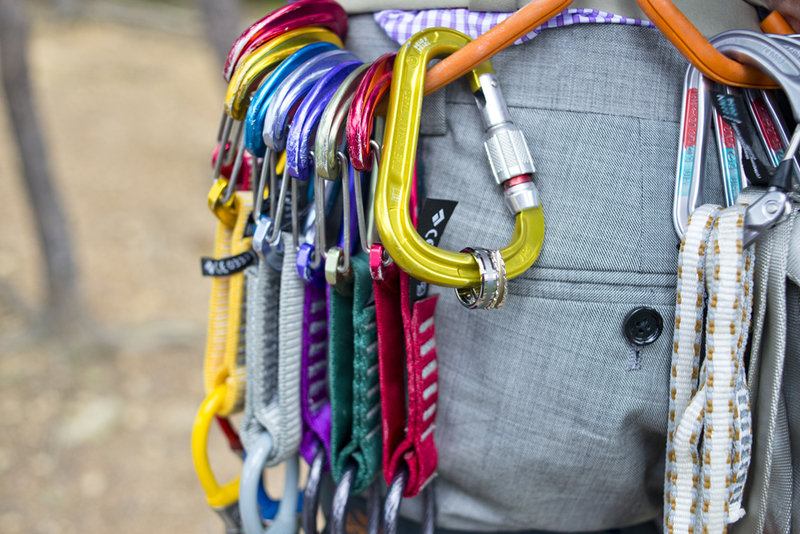 LOVE that shot of the rings on the carabiner! 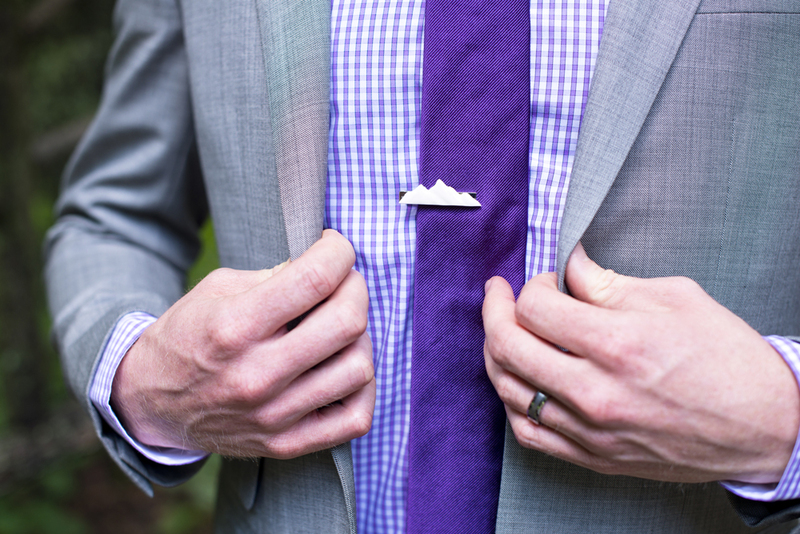 My hubs NEEDS that tie clip! Love it! I believe you can find it in Indochino’s website! What a great theme for a wedding. Such a neat idea. Beautiful pictures. Well done! Rayna McGinnis is a Colorado Wedding Photographer who specializes in Small, Intimate Weddings and Elopements for Active Couples.